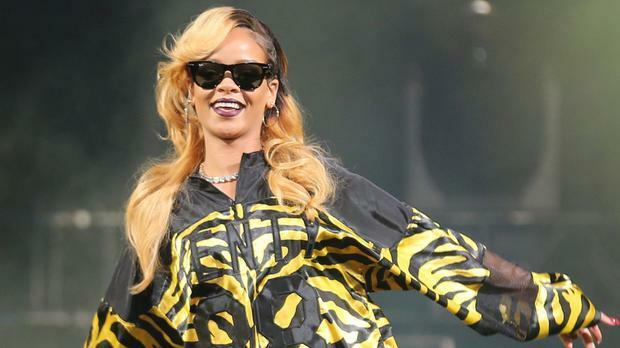 Rihanna has surprised fans by collaborating with Sir Paul McCartney and Kanye West for a new track. The Diamonds singer has made the song Four Five Seconds available to buy on iTunes, which features Beatles legend Macca on guitar, as well as superstar Kanye's rapping. Fans knew nothing about the collaboration until Rihanna tweeted a link to the track, but it suggests her upcoming album could feature some surprising new music. Recently, she accidentally let slip that Kanye was planning a North American tour later this year when she tweeted a link to her Diamond Ball auction, forgetting that one of the prizes up for grabs was a Kanye West Tour Experience. Last week, it was revealed that Rihanna had registered a track called A Night with Florence Welch listed as one of the writers, leading to speculation that she would be sampling a Florence + The Machine track. Her last album, Unapologetic, was released in 2012, but she has told E! News that her new offering will be worth the wait. She said of her anxious fans: "Tell them they'll have to wait. I'm in the studio right now with a killer team and I'm excited about what we're doing."